Peter James, Spotless Gutter Cleaning, and other companies can all get very pricey. Their gutter vac and cleaning services are good, but what benefit is there to hiring them? Here are a few benefits you can get by hiring us to do a comprehensive gutter vac and cleaning job. You reduce the risk of water damage. A blocked pipe can cause water to pile up, and that eventually leaks into the structure of the home. You might not even notice this until stains appear – by that point, the unseen areas of the home have extensive damage. You’re not taking on any risk that comes with cleaning the gutters yourself. Getting professionals like James Cleaning or us to do it means we’re the ones doing the climbing. You can reduce the risk of fire and prolong the life of your gutters. 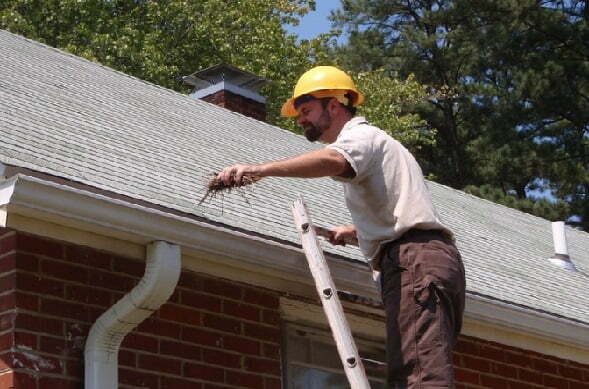 With us, we will also provide a report on the overall maintenance of your roof. If we see any trouble areas, we’ll let you know so you can arrange to have things fixed. Debris is removed, so you don’t have to do it yourself. You can even schedule regular visits and cleanings, to make sure everything stays clean. All of these benefits are available to commercial, residential, and even rental clients. A clean gutter can go a long way towards the proper maintenance of a structure, no matter what form it takes. Entrust it to professionals like Spotless Gutter Cleaning to get all the benefits.